The popular game Pokémon Go has been responsible for a jump in distracted driving–related accidents. Pokémon, a game in which avatars vie to catch the animated character, is an extremely popular game. Researchers who examined social media to see whether drivers and passengers were playing Pokémon found that a number of drivers — 18% — continued to play the game as they drove. Eleven percent of passengers were playing, which could contribute to the driver of the vehicle being distracted. In 4% of cases, pedestrians were distracted by playing Pokémon and were in a vehicle-related accident. During the 10 days of the study, 14 car crashes occurred due to drivers playing Pokémon as they drove. That averages out to an average of 1.4 crashes per day. Over the last decade, distracted driving has come increasingly to be viewed as a hazard on the road. A number of states, including California, have banned cell phone use and texting while driving due to the increase in traffic accidents each caused. Nationwide, there are eight fatalities and 1,161 injuries daily due to traffic accidents in which a distracted driver was involved. That means 2,920 people are killed annually and 423,765 are injured every year from distracted driving. Distracted driving can fall in one or more of several categories. Generally, it means taking one’s eyes off the road for enough time to cause an accident, or removing one’s hands from the wheel for a similar time. It can also mean one’s attention is occupied by something else. According to the U.S. Centers for Disease Control, a driver’s eyes and attention can be diverted by the length of an average text long enough for the vehicle to cover the equivalent of a football field in length. That’s enough space for another car, bicycle, or pedestrian to appear — and not to be noticed. If you believe you or a family member has been injured or killed by a distracted driver, you have rights under the law. If the driver was distracted, you may be entitled to bring a claim for damages in court. 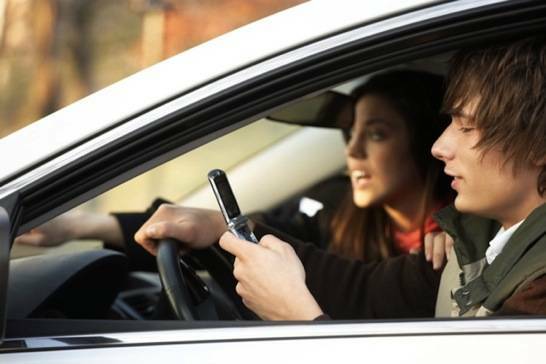 First of all, it is illegal under California law for a driver to use a handheld cell phone while driving. Pokémon Go is played on handheld phones. It is also illegal to text while driving. Second, law enforcement may stop people it believes are driving distractedly. They do not have to have any other reason for the stop. There are several areas that may determine fault if you or a loved one has been the victim of negligent driving. It is a good idea to call the police whenever there is an accident. The police report may indicate fault. Did the other driver swerve into your lane, for example? Did the other driver fail to stop at a stop sign? These could be signs of distracted driving. It is also illegal to text while driving in California. It may be possible to search for texts to see if this occurred shortly before the accident. The LA car accident lawyers at Ellis Law will fight for your rights if a distracted driver has caused an accident in which you or a loved one has been injured or killed. We have recovered over $350 million for our clients. Call us at 1.800-INJURED to discuss your case.